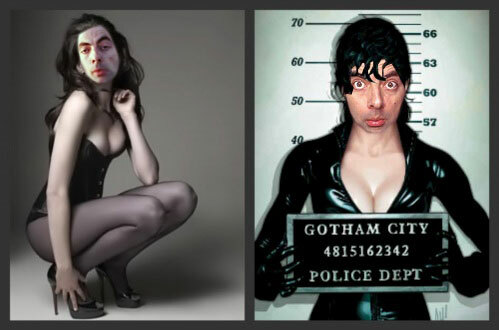 Mr. fagiolo Hathaway As Catwoman. . Wallpaper and background images in the Mr. fagiolo club tagged: bean mr. bean rowan atkinson mr. mr bean. This Mr. fagiolo fan art contains ritratto, headshot, primo piano, and closeup. Mr. fagiolo S01E13 - Roadworks.